Elliot M. Baumgart has been a partner at Rabner Baumgart Ben-Asher & Nirenberg, P.C. for the past 25 years, where he co-chairs the firm’s labor and employment law group. He has been selected as a New Jersey “Super Lawyer” each year since 2009 and has had an “AV Preeminent” peer review rating (the highest rating in legal ability and ethical standards) from Martindale-Hubbell for more than 30 years. Information about the methodology for section is available on the Super Lawyers and Martindale-Hubbell websites. No aspect of this advertisement has been approved by the New Jersey Supreme Court. While he has not yet given up his “day job” of practicing labor and employment law, Elliot spends the majority of his professional time serving as a mediator, predominantly of employment law disputes. He is a self-described mediation addict, having mediated well over 875 employment law matters, he handles mediations throughout the tristate region and Pennsylvania involving all sorts of employment law disputes including discrimination on the basis of race, gender, age, disability, religion and national origin, harassment and retaliation, under federal or state law, as well as disputes involving employment contracts, the Family & Medical Leave Act (“FMLA”), the New Jersey Family Act (“NJFLA”), 42 U.S.C. § 1981, the Conscientious Employee Protection Act (“CEPA”) and wage & hour laws. Elliot is a graduate of the University of Michigan School of Law, a founding member of the New Jersey Affiliate of the National Employment Lawyers Association, and a member of the New Jersey Association of Professional Mediators (where he served as Chair of its Employment Mediation Interest Group), the Garibaldi Inn of Court (devoted exclusively to alternative dispute resolution) and the American Bar Association Section of Dispute Resolution. 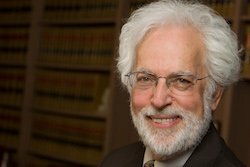 He served as a mentor to new entrants to the field of mediation through the New Jersey Superior Court annexed mediation program for more than 10 years. Elliot’s mediations take place in a variety of contexts, from pre-litigation to pending litigations at inception of suit, just prior to or after or a dispositive motion, on the eve of trial or pending post-trial motions or while on appeal, as well as pursuant to pre-dispute contractual mediation/arbitration agreements. For example, one of his mediations took place following a partial reversal and remand by the Court of Appeals for the Third Circuit of a United States District Court’s grant of summary judgment. Elliot has been appointed to the United States District Court Certified Mediator List for New Jersey. He also is a member of the American Arbitration Association (“AAA”) panel of employment mediators and has been selected as a member of the National Academy of Distinguished Neutrals ("NADN"). In addition, he holds a Certificate of Proficiency in employment law and mediator skills training for ADR Neutrals awarded by the New York University School of Law Center for Labor & Employment Law. Further, he is a frequent speaker at professional gatherings regarding a variety of topics related to mediation. For Elliot’s references and additional information about his mediation services, or to schedule a mediation, please contact our office at (973) 744-4000.